Tis’ the Season for holiday parties! The GP team has collected a list of some of our favorite venues to help you choose the right space for your next holiday soiree. Enjoy! Located in the Financial District, The Mezzanine’s modern, state-of-the-art amenities make it a top contender for your next holiday party. With over 6,300 square feet spread across 5 rooms, it boasts versatility and aesthetic. 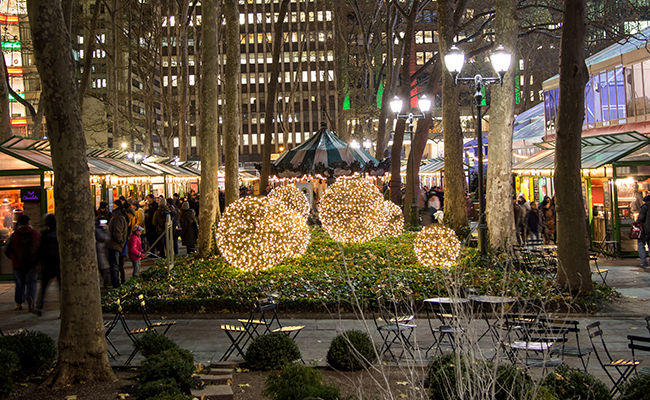 Located in the heart of Midtown Manhattan, the Bank of America Winter Village at Bryant Park boasts floor-to-ceiling views, spacious and flexible floor plans, and convenient access to all midtown subways and transportation. The space accommodates up to 250 guests for standing cocktail receptions and up to 150 guests for seated dinners. Located in the heart of Times Square, National Geographic: Encounter boasts three rooms of varying sizes, fully integrated top notch audio-visual systems and a 40’ fully customizable LED wall. All events include admission to Encounter, giving your guests an unforgettable experience! Located in the Upper West Side on 59th Street and Columbus Circle, Frederick P. Rose Hall, Home of Jazz at Lincoln Center is the world’s first performing arts facility designed for jazz. 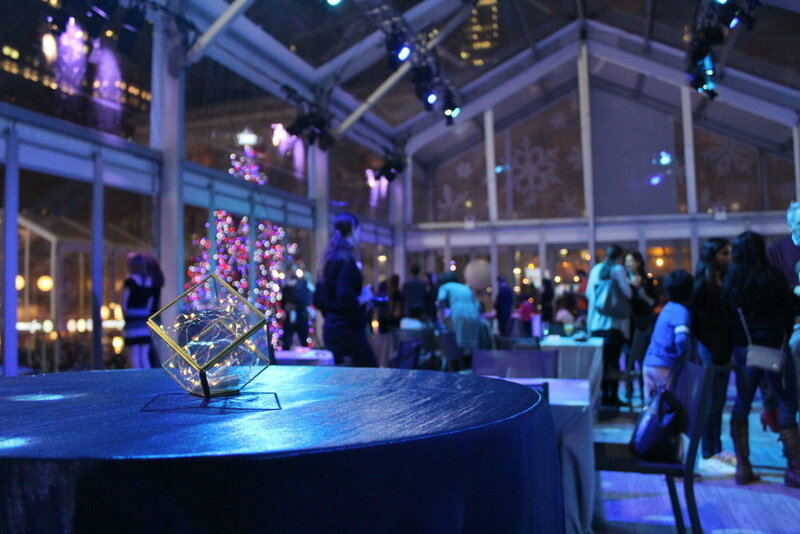 With over 6 spaces within the venue, and amazing views of Columbus Circle and Central Park South, it truly is the perfect space for an unforgettable holiday event. Located in the Hudson Yard District, Hudson Mercantile offers 16,000 square feet of modern, versatile studio spaces, that are perfect for large parties and events of any kind! Originally built in 1849, the historic Angel Orensanz Foundation building, located in the Lower East Side of Manhattan, is the perfect backdrop for great Instagram photo moments. 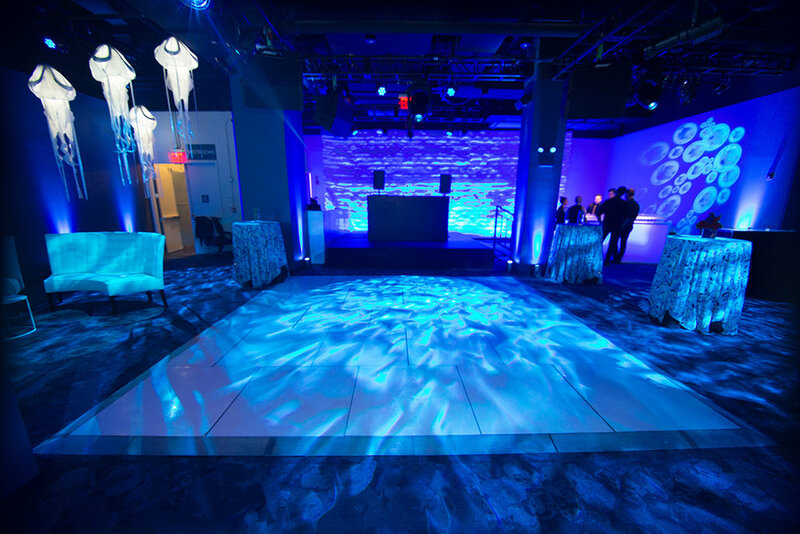 With state of the art LED lighting throughout the 10,000 square foot space, there’s a lot that you can do for your next holiday party. The Harold Pratt House was constructed in 1919 as one of New York's grand Park Avenue mansions. It is an ideal location for celebrations, weddings, dinners and conferences. 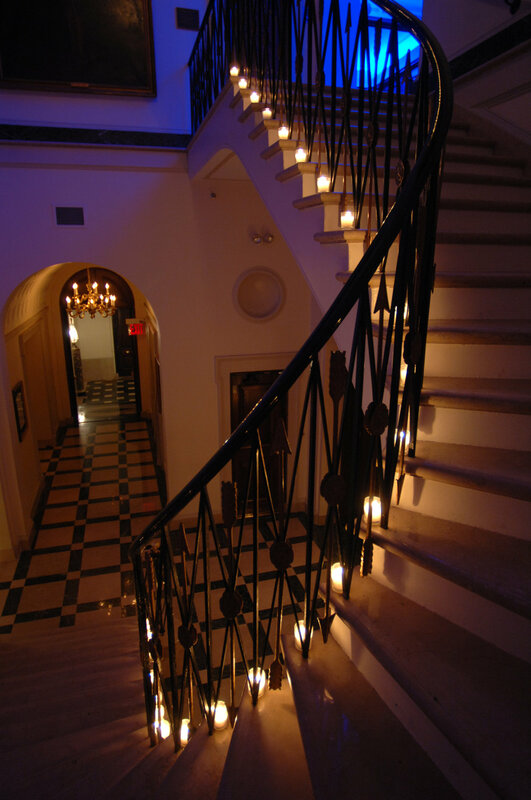 Located in the Upper East Side, on E. 68th St. and Park Avenue, the house features a marble stairway connecting a variety of beautiful spaces including the Library, Reception, Drawing, Sitting and Ballroom. All rooms feature cathedral ceilings, fireplaces and original chandeliers, creating a magical atmosphere for your holiday event! Located in Upper East Side Manhattan, The Asia Society and Museum is an exceptional space that combines world-class art exhibitions, stunning architecture, and an unparalleled atmosphere - making it one of New York City’s premier event spaces. With 3 versatile spaces available for private events - the 8th Floor Banquet Hall & Conference Suite, Garden Court and Lila Acheson Wallace Auditorium- it certainly caters to any type of holiday event. Located in New York City’s historic Union Square Park, Kellogg’s gives you over 5,000 square feet of event space with spectacular views! The open floor plan gives you a ton of flexibility to make the space unique for your next holiday party, which can accommodate 40-225 guests. 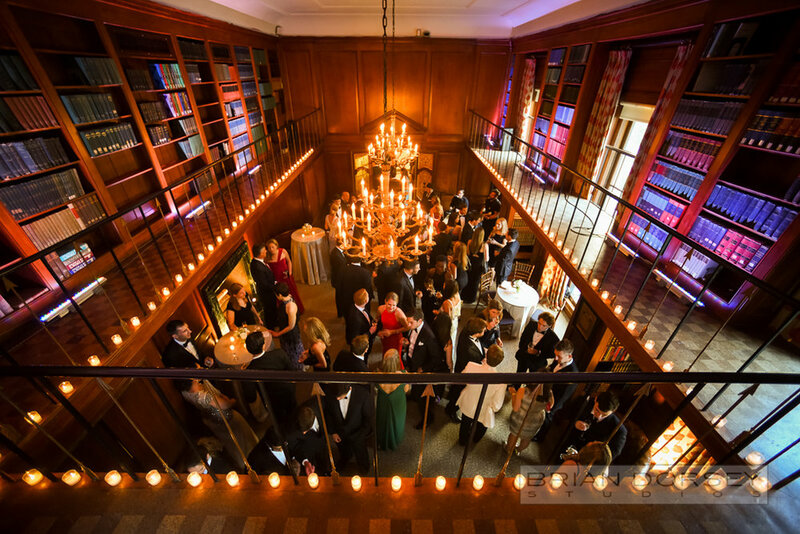 Located on E. 70th Street in the Upper East Side neighborhood in a Jacobean townhouse built in 1910, the Explorer’s Club is the perfect gathering place for your holiday event! The beautiful townhouse is rich in history and design, stimulating conversation amongst all that visit!